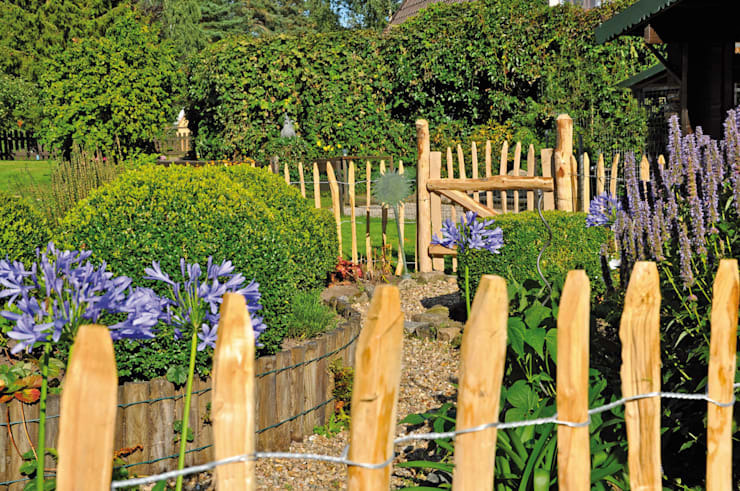 Building a fence is no easy task, but you don't need landscaping skills to pull it off. Ah, the fantastic fence – that little separator that divides the street from your front lawn, or your back garden from your neighbour’s plot. Although it performs such a simple yet important function, don’t think that the design of your fence can be a last-minute afterthought. Just like the right fence can make your garden, so can it be ruined by the wrong one. And the last thing you want is a shoddy looking structure corrupting that perfectly crafted garden of yours. 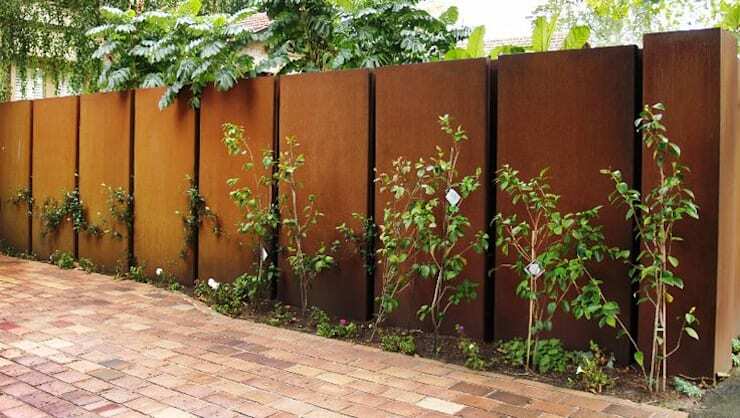 So, with that in mind, let’s take a look at 10 stylish ideas for fences, either for garden or front yard – and then see which design styles go perfect with each one! 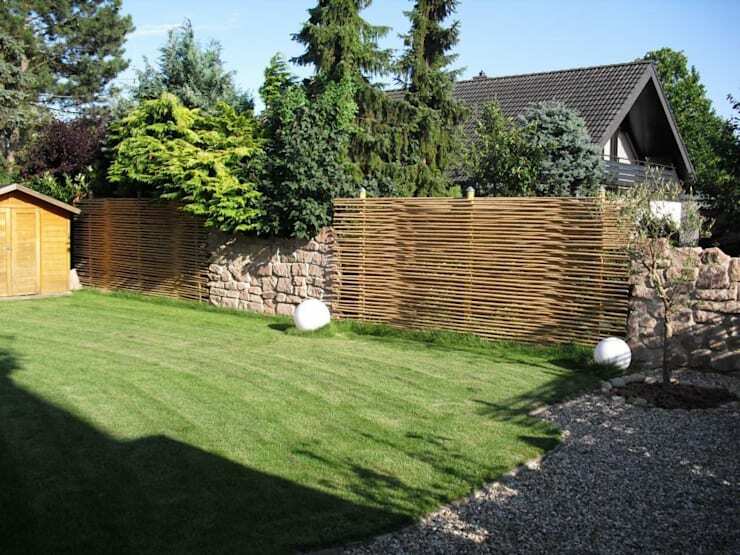 Don’t judge bamboo or reeds as a quick afterthought – if done correctly, they can make one super stylish fence for your exteriors. Here we see a unique combination between reed and stone, crafting a very modern appearance that makes quite the statement when combined with lush plants and fresh green grass. Ideal for: The rustic style. Metal for your fence? Why not? It can add a real touch of originality to your exterior space. 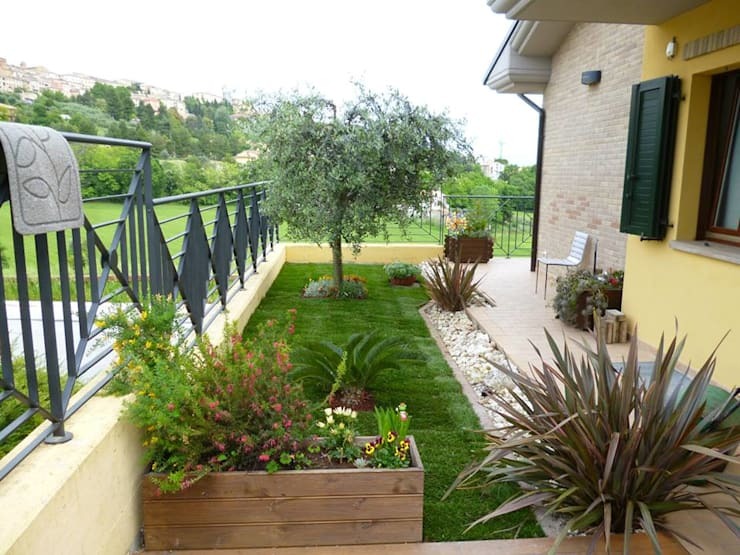 Just see the look that So Garden proposes above with this designer ambience – while preserving its natural appearance with the rusty colour, it also gives off a very eye-catching effect when combined with foliage. Ideal for: The industrial style. Although concrete is not always the most pocket-friendly option, it certainly provides results, especially if you want a sturdy structure to separate your space from your neighbour’s. And since it’s available in a multitude of different styles and colours, you’ll be spoiled for choice when it comes to selecting the ideal one for your home. 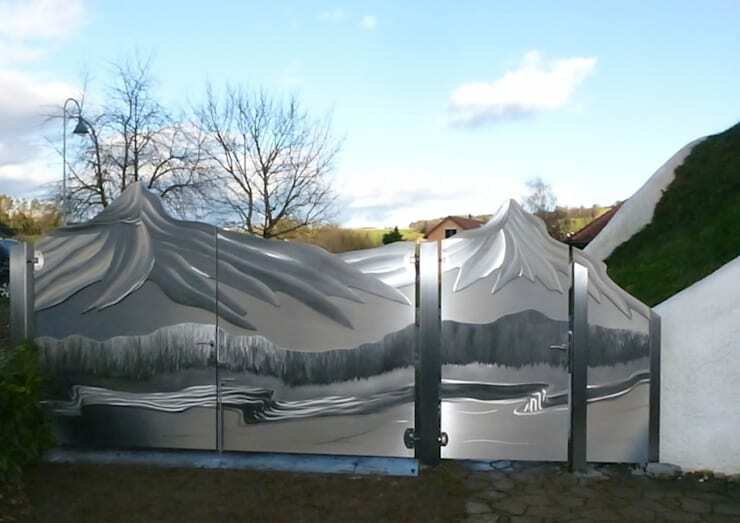 A fence of stainless steel already projects a striking image, but one adorned with a visual beauty like in our example above boosts it immediately to “stunning” status. How lovely would that magical design look surrounding your children’s playground? Ideal for: Futuristic or modern styles. Suburbia is calling, and this fence is perfection. 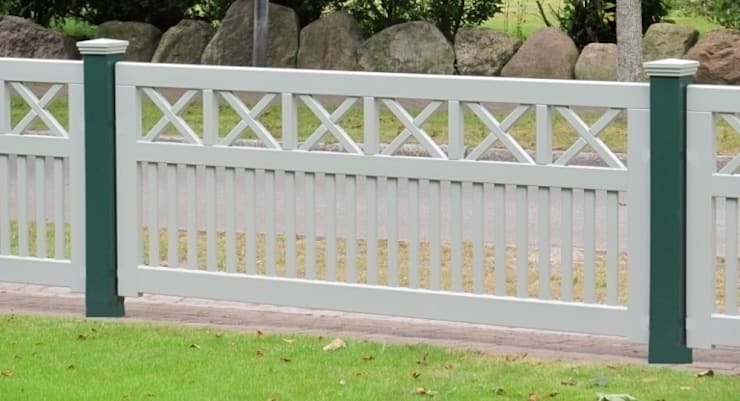 With its neat design and perfectly trimmed finishes, this option no doubt takes second place in the perfect-fence race for a peaceful suburban neighbourhood (right after the characteristic white-picket fence we all know and love). Ideal for: The country, neoclassic, or Victorian styles. If natural-looking and rural is what you’re after, then this beauty might be for you. This fence is an easy DIY project, cost-effective, practical, and all you really need is time, wood, some nails, and decent binding, like wiring. Ideal for: The rustic or farm styles. Want something a bit more formal? You can’t go wrong with the classic brick-and-metal mix, as shown above. Perfect for your typical cottage or suburban home, this fence not only adds a formal style to its space, but also ensures some trustworthy sturdiness. Plus, with both brick and metal being available in a wide range of styles and colours, you know you can combine and mix to your heart’s delight. Ideal for: The classic style, as well as European. For those who want a bit of pizzazz with their fences (and, really, who doesn’t? ), consider this tried-and-tested option. Solid concrete/brick wall with a tantalising metal decoration on top. You know you’ve seen it in countless front yards, and you know that it can be a great option if paired with the right house. Ideal for: The modern or modern country style. Similar to exposed brick, stone projects a fabulous textured look that is hard to ignore – if that’s what floats your boat. Imagine that pattern (available in different colours) mixed with some colourful flowers and lush plants. Stunning idea? We think so too! Ideal for: The rustic and gothic styles, plus your typical English country house. What goes with a garden? Green, green, and more green! 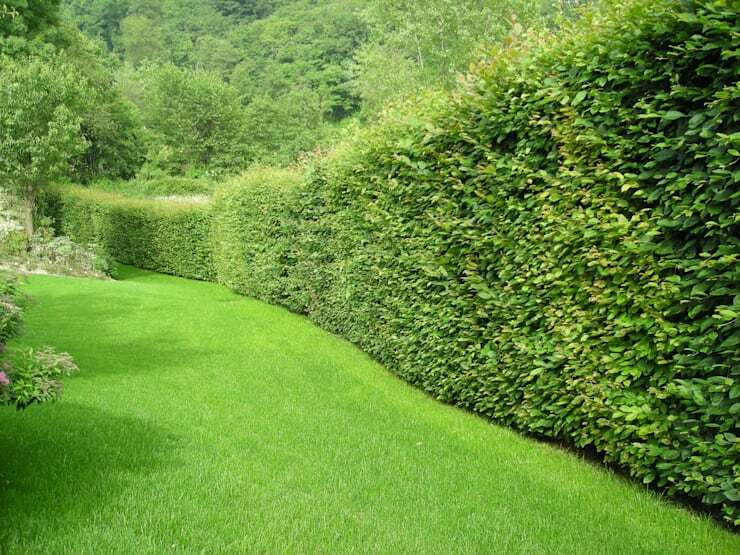 So, how about a lush plant hedge to close off our fence list? 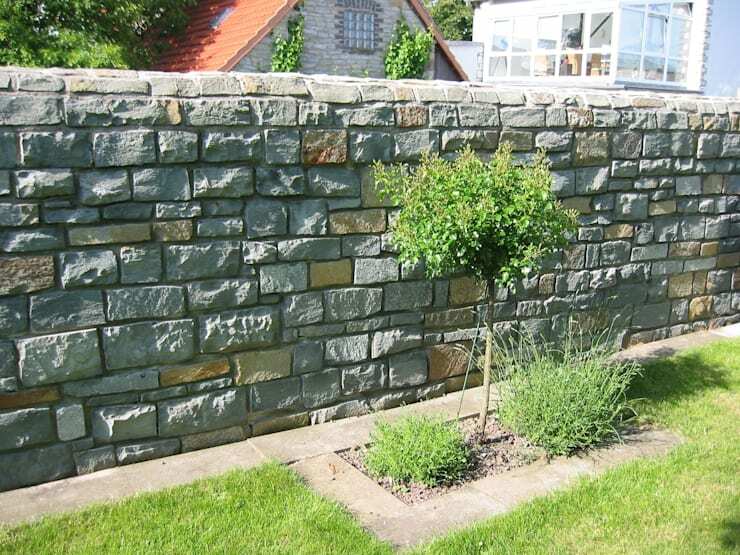 A professional landscape architect / gardener can inform you on the type of plants best suited to erect a garden hedge. Factors like climate and upkeep must be taken into consideration, but isn’t that charming, lush look worth it? Ideal for: The classic and modern styles, plus your typical cottage. From one striking addition to another, let’s see how you can: Boost your garden… with a pond. 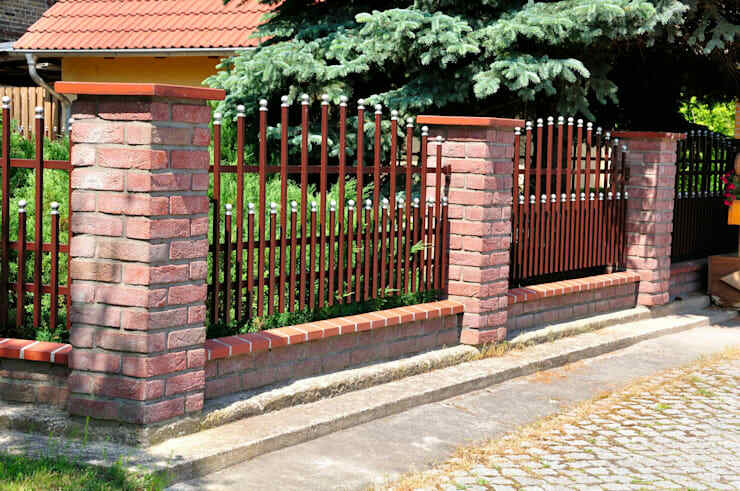 Which fence would look perfect in your yard? Let us know in the comments section below!